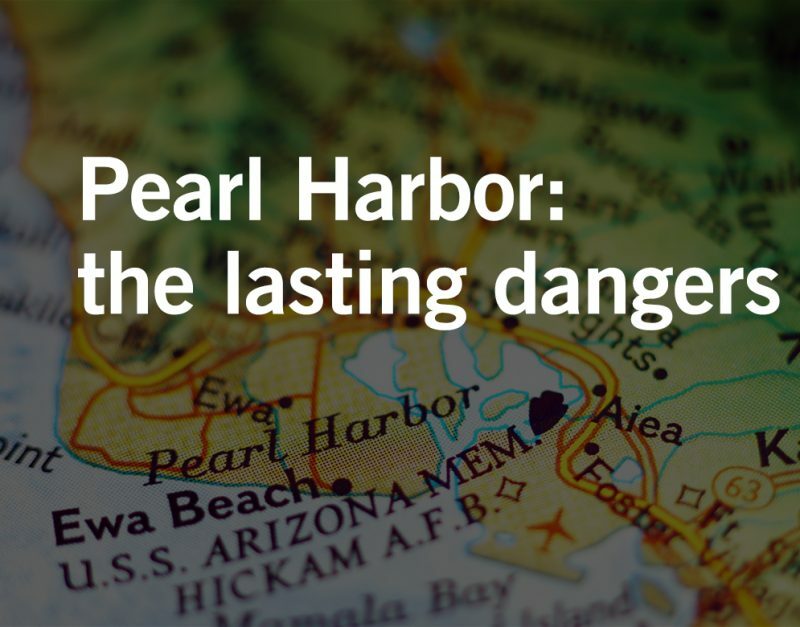 On this day in 1941, 2403 people died and 1143 were injured when Japan attacked Pearl Harbor. They destroyed 20 American naval vessels including 8 battleships and over 300 airplanes. The next day, President Franklin D. Roosevelt asked Congress to declare war on Japan. CTA: Suffering from a disease caused by asbestos exposure? You deserve justice. Contact us now to discuss your potential lawsuit. The attack came as a surprise. And the many survivors continued to encounter tragic surprises when they discover years later that asbestos exposure from the naval vessels and military equipment led to a terminal illness known as mesothelioma. Thousands of Navy seamen, other service members, and shipyard workers handled and, and most dangerously, breathed asbestos during their tenure in the military. Thanks to asbestos’ insulating and fire-retardant properties, materials containing asbestos were used in the U.S. Navy and other military branches. Asbestos-containing products could be found in ship boiler rooms, engine rooms, and elsewhere. Exposure to asbestos is the only known cause of mesothelioma, a deadly form of cancer. Mesothelioma is now recognized as a “service-connected” medical condition by the Veteran Affairs Department. Veterans with a history of long-term or intensive asbestos exposure are particularly susceptible to this life-threatening cancer. These men and women served their country to protect American values — yet may lose their lives to this silent killer. Companies selling dangerous asbestos products benefited from the military’s business at the expense of veterans’ future health. We cannot let their injustices go unanswered. We must persist in holding those corporations accountable for the harm that they have caused. President Roosevelt said, “No matter how long it may take us to overcome this premeditated invasion, the American people in their righteous might will win through to absolute victory.” Although he spoke of World War II at the time, the sentiment stands true for the fight against asbestos. Waters Kraus & Paul is waging a two-front war on asbestos exposure. On one front, the firm is pushing for legislation that protects the rights of asbestos victims. On the other front, the mesothelioma lawyers of Waters Kraus & Paul are fighting in court to hold the corporations that used dangerous asbestos in their products responsible for the consequences of their negligent actions. Waters Kraus & Paul is a mid-sized plaintiffs’ firm committed to ending asbestos exposure once and for all. The dedicated mesothelioma lawyers of the firm are constantly battling to help victims of asbestos exposure. If you have been diagnosed with pleural mesothelioma or another disease caused by asbestos exposure, you deserve justice. Email us or call the mesothelioma lawyers of Waters Kraus & Paul at 800.226.9880 to discuss your potential lawsuit.